Overview & specs of Bodum Bistro 11160-294UK Electric Coffee Grinder by Currys PC World. 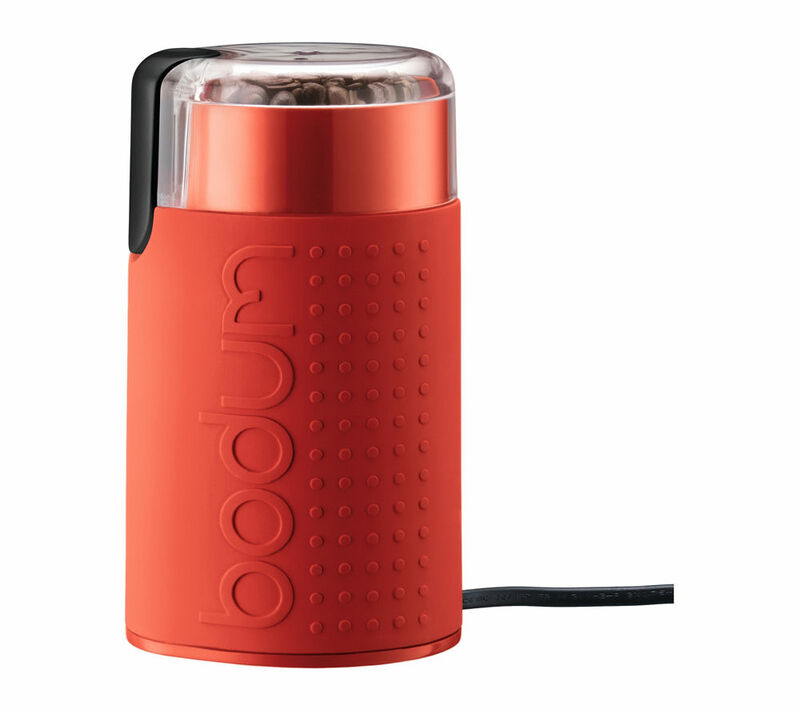 The Bodum Bistro 11160-294UK Electric Coffee Grinder gives you a stylish way to quickly grind coffee beans for a truly satisfying cup of coffee.Consistency monitoringIt's a fact that coffee beans ground right before the addition of hot water make for a more rich and delicious hot drink. The Bistro Electric Coffee Grinder operates on a push button system that enables you to manually control the length of the grind, and because there's a transparent lid you can easily check the fineness of your grind to achieve perfect consistency.Compact, convenient and colourfulWith a fun red finish, this adorable electric coffee grinder is small enough to keep your kitchen counter free of unnecessary clutter. It also has a cord tidying feature underneath to add to its compact neatness.Quality componentsThe Bistro Electric Coffee Grinder has stainless steel blades for excellent grind consistency, a durable plastic lid for easy viewing and a rubber outer body for easy handling and stability. As well as being solid and safe, it's fantastic to look at too.The Bodum Bistro 11160-294UK Electric Coffee Grinder is the easiest, quickest and cutest way to create that perfect cup of coffee. We are comparing prices for Bodum Bistro 11160-294UK Electric Coffee Grinder in new condition sold by Currys Pc World.